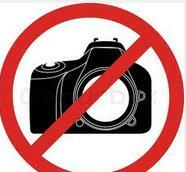 Picture taking is forbidden to normal diners as/per the house, therefore no pictures were taken. No note-taking neither as I did not know whether that would offend the house’s staff, so I made a mental note of my appreciation of some of the sushi pieces which assessment was determinant in my overall rating of this meal. ***Here are the elements that my overall rating will take into account: (1)How great the quality of the chosen rice stood against what the other sushi shops of this trip have offered (2)How harmonious or spectacularly bold the work of the seasoning of the rice is achieved while remaining complementary of its topping (3)How delicious and how perfected (temperature/precision of the knife skills/work of the textures) were the sushis compared to the other sushis of this trip (4)How far the sourcing was pushed and how far it revealed a profound understanding of the subtleties of the produce (it is one thing to have top ingredients, it is a different story to pick that precise ingredient from that specific region which on a given point in time will allow your craft to express itself at its best). Mizutani-san has worked several years at the stronghold of the legendary Jiro Ono (Sukiyabaki Jiro in Ginza), then parted ways and opened his own sushiya which was awarded 3 Michelin stars several years ago. He was among the very first sushi masters, along with Jiro, to have earned 3 Michelin stars. For those who are ‘allergic’ to Michelin star rating, rest assured that even the local foodie scene holds Mizutani-san in high esteem as his shop has a high score of 4.37/5 on Tokyo’s major local food restaurant rating web site Tabelog: http://tabelog.com/tokyo/A1301/A130103/13016524/ . Some of this globe’s most experienced diners argue that Mizutani is even better than Jiro but I wouldn’t know as my hotel concierge could not secure a reservation for me at the legendary Jiro, but Mizutani seemed to fit with what I was looking for: elaborately crafted classic sushi pieces by an experienced Sushi Master of Tokyo. FOOD REPORT: As it was the case at Sawada, I did not take notes, fearing that the no photo restriction could also imply that the house would shower me again with other restrictions regarding, this time, perhaps, note-taking. I do not go to restaurants in order to fight with rules, so I took no notes of each single item but I’ll try to remember some of the key elements of this meal, the elements that weight in my overall score for the food performance . Prawn (8/10) and needlefish (9/10) nigiris were tastier than the versions enjoyed at the other sushiyas,but prawn killed right in front of your eyes (done at some of the other sushiyas, but not here) always add a “special” dimension that this prawn —although admittedly of the highest quality and execution — was missing . As for the needlefish, Mizutani-san did sweeten it, on this instance (I have no clue if he always do that), which is usually not a feature I favor with seafood, but this was needlefish of superb quality. Mackerel (10/10) was superior to those I had at the other Sushi shops of this roundup, better prepared, better — though not boldly –seasoned, better handled, better cured (the timing of the curing simply perfect) than anywhere else. Gizzard shad (10/10) is, of course, the common affair of the Sushi Chefs, a bit like crème brulée for a Pastry Chef, so that is exactly where I want to see the better Sushi Masters to distance themselves from the rest and on this meal, they did just that: salting and soaking it in vinegar is what all sushi cooks do, but the proper timing and proper know-how are grounds that are not that easy to cover. Mizutani covered those grounds, his Gizzard shad tasting better and fresher than his direct competitors of this trip, and those folks are unarguably the best sushiyas of the globe , so imagine! And yet, there was still room for a little bit more excitement (nothing that would make me change my mind about its 10/10 score, though) : bolder vinegary flavoring of that Gizzard shad would have been the ultimate blast, lol. Repeat sushis were the chutoro and otoro nigiris, which were as great as the earlier ones. The fabled tamago (folded omelette cake), which at first glance looked less pretty than, say, the one I had at Sawada, but tasted far more DELICIOUS! 10/10 for the tamago. PROS: 1.The most challenging (to handle and prepare) seafood items were better executed here than anywhere else…that is all I needed to know 2.It is amazing to see a sushiya place demonstrating utmost care in selecting even the non seafood items like eggs (the secret of his superior tamago). CONS: (1) The sea urchin, although of top quality, paled a bit in comparison to Sawada‘s “ocean breeze” sea urchin. (2)At this level, not one single nigiri should crumble under the slightless pressure of my sushi sticks….well, it happened twice, which again is not a major problem….just not what should be experienced at such high sushi mastery. Because, YES…as you would have guessed by now, the craftmanship is of the highest level (3) Also, this is..as you might expect, dauntingly expensive…so ensure you do really care– this much — about the quality of your Sushi. I do and did not regret —and even found this to be a bargain compared to another Sushi shop, a mid level one, that did charge me as much for lesser quality sushi — but you’ll have to keep that in mind. (1)How great the quality of the chosen rice stood against what the other sushi shops of this trip have offered? At first glance, Mizutani could be accused of playing it safe as the rice seasoning is not strongly vinegared, and if you are not into details, you’ll be tricked into believing that it’s just your common good “nothing special’ sushi rice. It’s certainly not a common /nothing special sort of sushi rice as the work of the texture was generally of a high level of ‘engineering’ (the inside, impossibly soft, the outside is SEMI-soft). I wished I could tell you that we were ages ahead of the laughable crumbly pieces of sushi that sadly abound at sushiyas outside of Japan …but life always ensures to contradict you, lol: the rice of two nigiris crumbled, to my surprise, under barely no pressure from my sushi sticks. Regardless, this is a work of rice of very high level. (2)How harmonious or spectacularly bold the work of the seasoning of the rice is achieved while remaining complementary of its topping? No strong flavors here, but a focus on anything that most palates would interprete as deliciously rich, for eg the eggs of his tamago is richer in flavor than the eggs of the tamago that’s offered at the other elite sushiyas. His fattier piece of tuna belly had more marbling than the fattiest ones at the other elite sushiyas, the rice tastes a bit rich, not strong, etc. In general, his style allows an impression of harmony between the rice and the topping. (3)How delicious and how perfected (temperature/precision of the knife skills/work of the textures) were the sushis compared to the other sushis of this trip? Not as ultimately spectacular in shapes and colors as I’d imagine exceptional sushi to be (Sawada was –overall — a less convincing meal for me, compared to Mizutani’s, but Sawada‘s sea urchin + trio of tuna were visually far more spectacular than at Mizutani , but certainly close-to perfect. That said, Mizutani has certainly delivered the most delicious sushis of this trip. As for the control of temperature, most of the sushis were served following the classic notion of controlling sushi temperature (for eg, rice at body temp, most of the seafood at room temp), and as it seems more and more common with his peers in Tokyo, he would sometimes leave a piece that’s thick in consistency, therefore one that takes a bit longer to reach the temp he deems proper, resting to hit room temperature (A Sushi Master does this in frontof his patrons s because he wants you to you see how concerned about proper temperature he is — just adding this because some online reports on this matter have misinterpreted that part, suggesting that it is not normal. This is Normal as some pieces take more time to reach ideal room temp and when it’s not done before your eyes, then they did it in the kitchen ). (4)How far the sourcing was pushed and how far it revealed a profound understanding of the subtleties of the produce (it is one thing to have top ingredients, it is a different story to pick that precise ingredient from that specific region which on a given point in time will allow your craft to express itself at its best)? He is the most experienced Sushi Master that I have visited on this trip and that showed: he knows his produce like few can pretend as he is who digged deeper in the potential of his ingredients, extracting as much as he could from them. He did that and it worked thanks to his exceptional skills and long familiarity with the fruits of his soil. Before my meal at Mizutani, I have heard it all: better than Jiro (which,to me, is like comparing a private club to a normal restaurant catering to a normal public as places like Jiro is…like to hear this or not…nowadays effectively a private club available only to some happy few) according to many well-travelled connoisseurs, but also the total opposite (for eg, the suggestion that the work of the rice is better at plenty of the lesser Sushi shops in Tokyo —well, you may as well suggest that conveyor belt sushis are better while you’re at it, lol , — or that the standard of the food seemed to have slipped, etc). Regardless of those contradictory suggestions, I can only trade in facts I know: the “trickiest” seafood (gizzard shad, mackerel,squid), those that do require the toughest efforts and sharpest skills, happened to be challenging in the hands of all the other Sushi Chefs of Tokyo whose food I have sampled during this trip (some aging their seafood to the point that is not enjoyable/palatable anymore, so more style than substance,others were so inconsistent or playing it safe….). That is where Mizutani san stood out. The work of the rice is important, and I wished I did not have those two pieces of nigiris crumbling under barely no pressure, but the more important is that the generally mastered softness of the texture of his rice as well its subtle flavor allowed for a better interraction between the neta and the shari. For sure, do not expect miracle, this is not walking on water, this is not landing on the moon, this is not saving lives, this is sushi (generally) perfectly well crafted at the highest level possible, so ensure you sync your expectations to what can realistically be crafted. It is expensive,indeed, but it all comes down to one very simple choice to make: you either feed on tons of average sushis (that you could actually replicate at home with patience, time and practice) or eat less of those and save for sushis this great. Keep in mind that this is classic sushi , so not for you if you are looking for fanciness. Overall food rating – 9/10 (Category: top tier Sushi shop in Tokyo, World class sushiya) in comparison to my meals, during this trip, at the other Tokyo sushiyas. The sea urchin, although of top quality, left me feeling somehow indifferent (in light of what I am expecting at this level), BUT the most important for me (which explains the well deserved overall food score of 9/10) is that Mizutani-San managed to outperform his peers in many aspects (deep understanding of the rice/seafood harmony, textures of (generally) benchmark refinement by world class sushi standards ). Deserving (in general) of its great reputation, I thought. What do I think a week later: To the contrary of what is widely suggested online, the majority of Sushi shops in Tokyo (from the mid level Sushi to the lower end) are generally NOT that superior to a good Sushi shop in Canada or the US. They do have a wider variety of seafood but nothing much. The top tier (which is no more than acouple of Sushi shops) Sushi shops are those that truely standout with a quality of ingredients you’ll have hard time finding outside of Japan. As for the work of the rice, it is true that there is more thought/care that is invested in it, but much of the praises pertain to urban legend: everytime I hear that a Chef integrated X amount of grain of rice in his sushis…I do discretely take one of his nigiris, run to the gents room and discretely count the grains. It is never even close to the amount of grains advertised. Furthermore, although well done, the work of the rice is not as spectacular as it could be. That said, Mizutani san’s craft is hardly matched outside of Japan. PS: Few weeks after this meal, Mizutani was demoted from 3 to 2 Michelin stars. 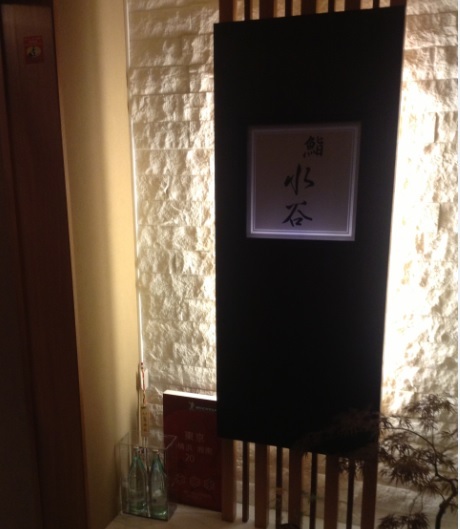 I will keep the mention to the 3 stars as the current meal took place when Mizutani was bestowed with them.